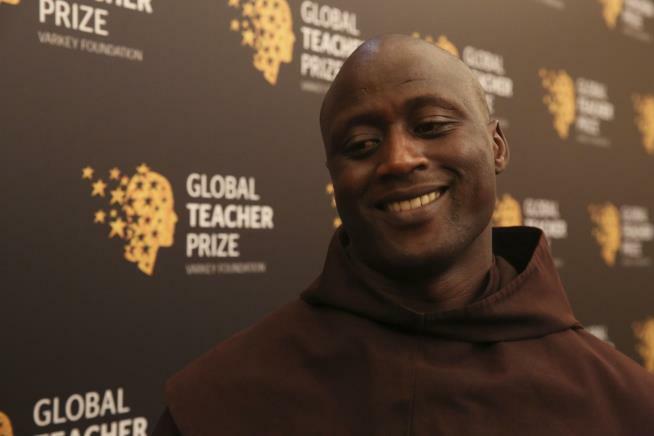 (Newser) – Peter Tabichi is a science and math teacher in one of the poorest schools in Kenya, and he gives away the majority of his paycheck to help his community and students at the Keriko secondary school in Pwami. The 36-year-old Franciscan friar just got those funds back, and then some: He was awarded the Varkey Foundation's $1 million Global Teacher Prize, presented to him Sunday in Dubai by actor Hugh Jackman. Tabichi beat out 10,000 other nominees from nearly 180 countries around the world, the Guardian reports. A genuinely beautiful story for a change . This man is the epidemy of selflessness. He's a mother of all teachers, what a great guy! The education is the most important paramount thing in every child's life. And his dedication for children education should be recognized by everybody and every institution of the world. Without proper education human beings behave like zombies without questioning everything in life and life-matters including the god biz.